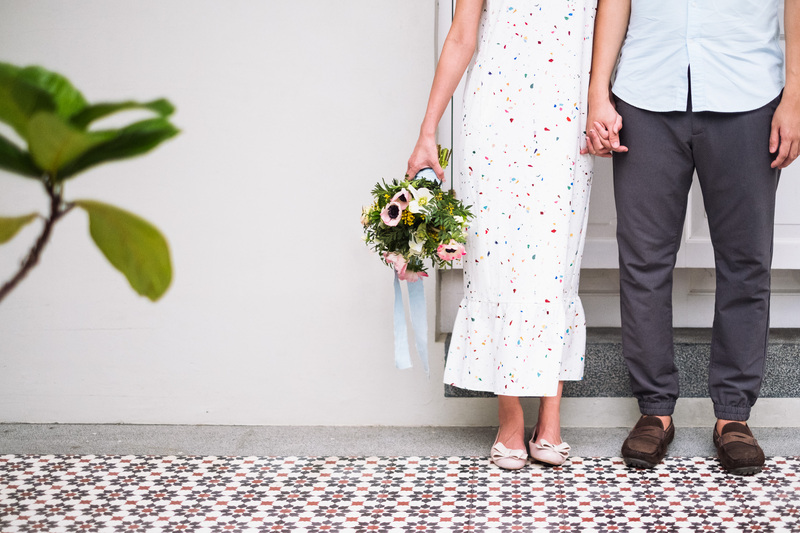 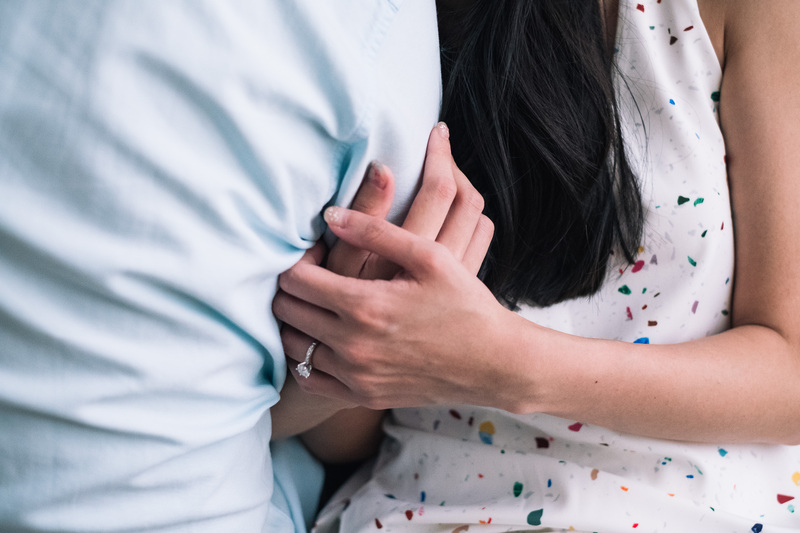 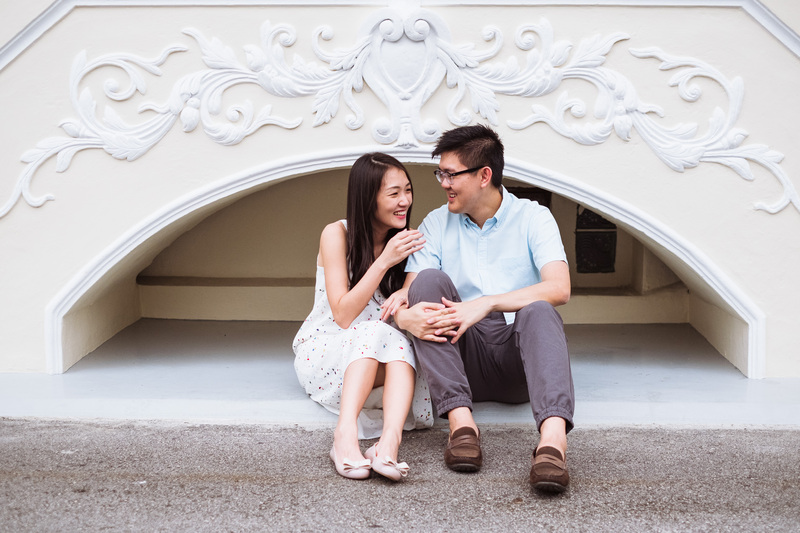 These words – from schoolmates who re-connected at their best friend’s funeral – made me certain I wanted to create something special with this couple. 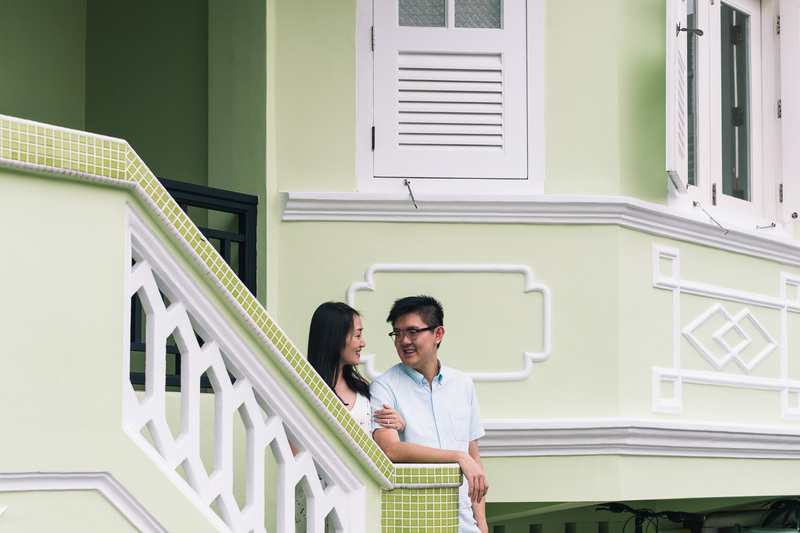 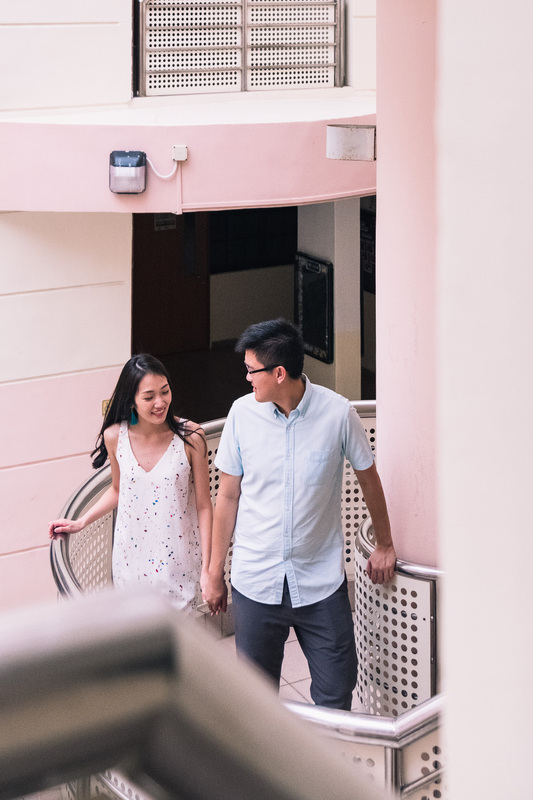 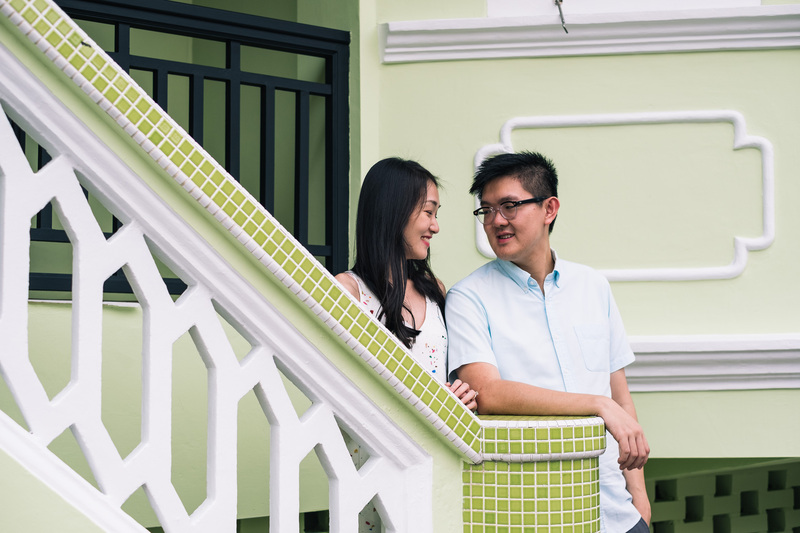 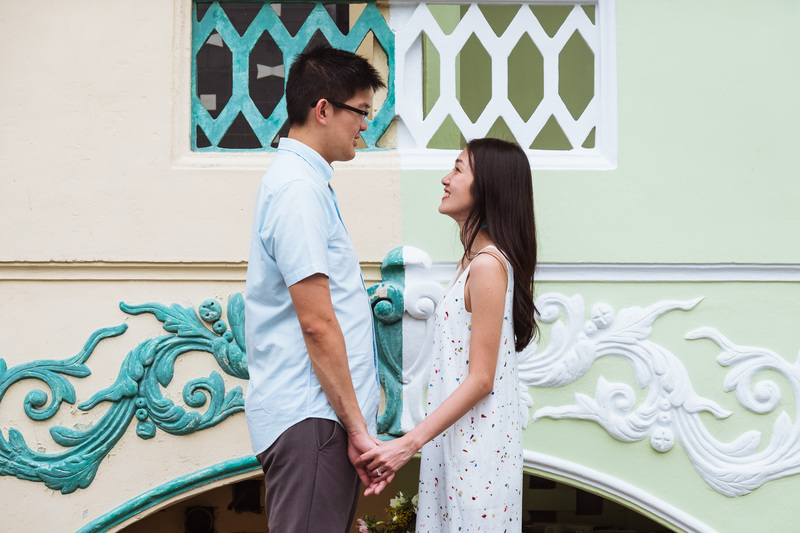 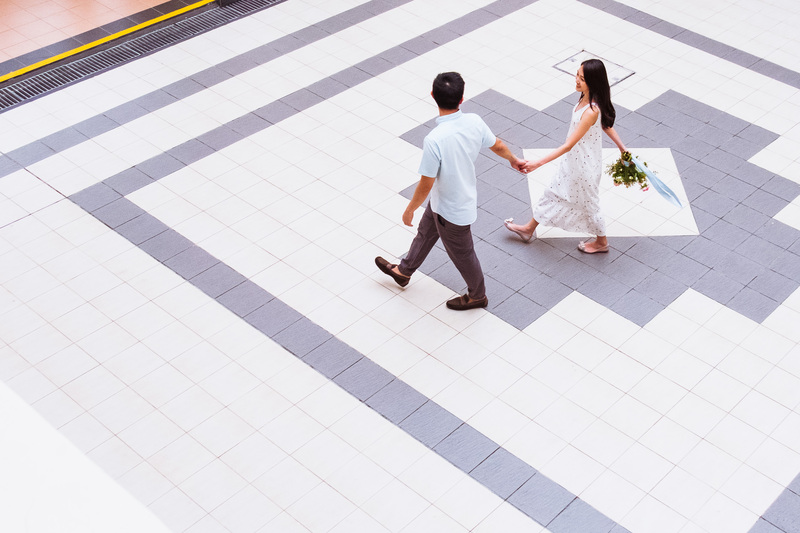 I had a few days layover in Singapore at the start of the year, and was fortunate to spend time with Erika and Mervyn for a pre-wedding shoot. 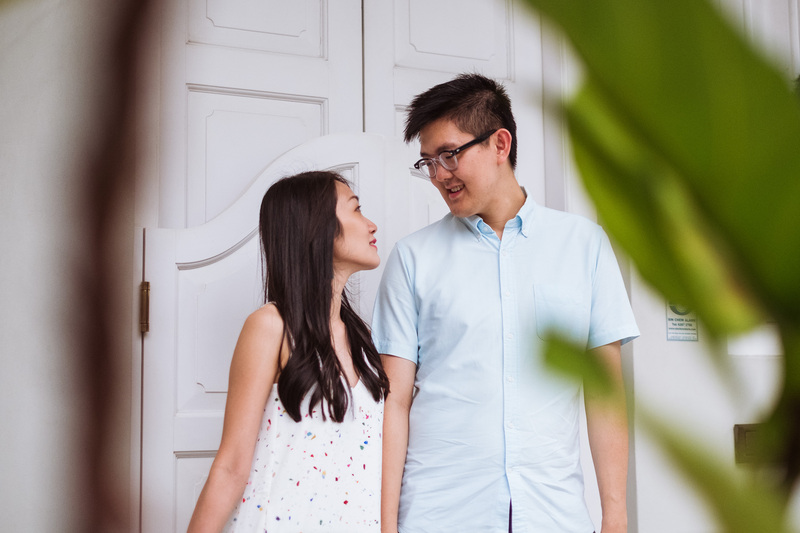 It was very clear to me that there is a deep and sincere love that runs between these two sweet-spirited people, which made capturing heartfelt moments between them very special for me. 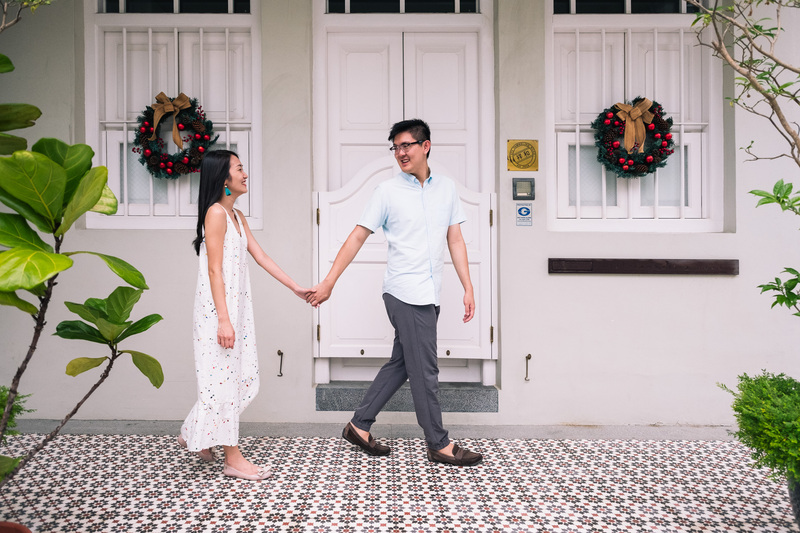 A nod to Mervyn’s Peranakan heritage, with the neighbourhood’s quaint shophouses, tiled floors and Peranakan stores that feel like a remnant from Singapore’s yesteryear. 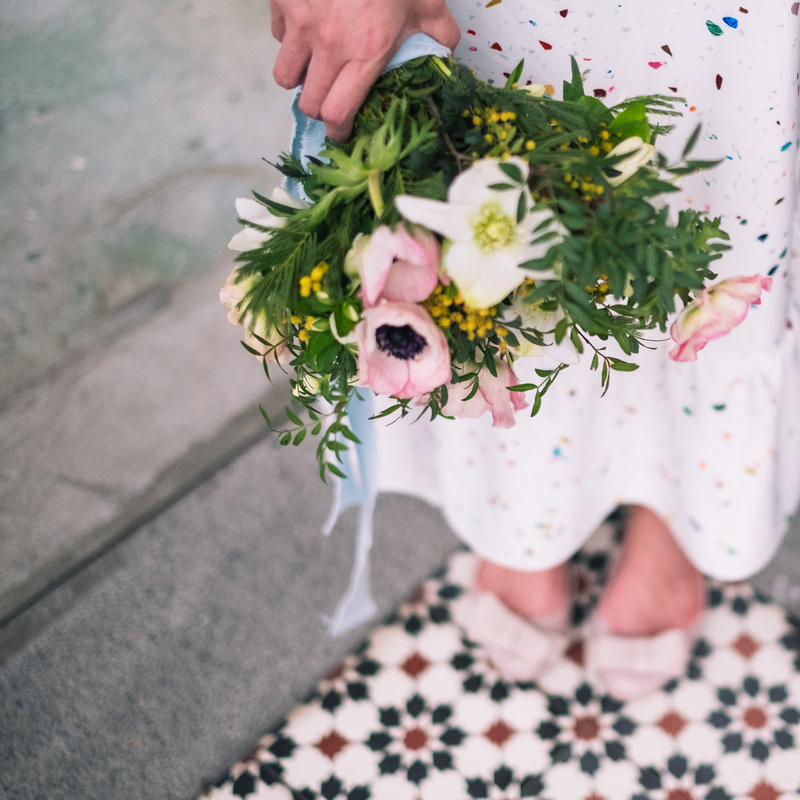 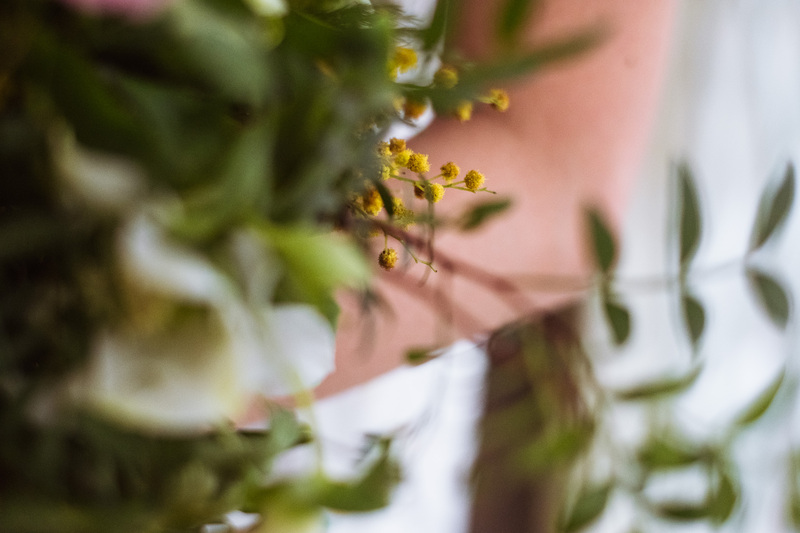 For the shoot, Erika was gifted a gorgeous bouquet with wild organic lines by the ever artful and heartful @whiff.florist . 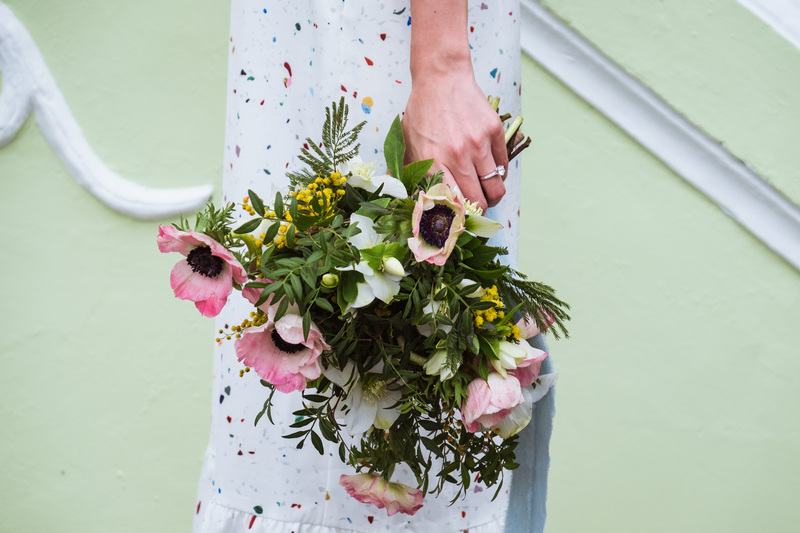 Look at those dark-centred anenome beauties! 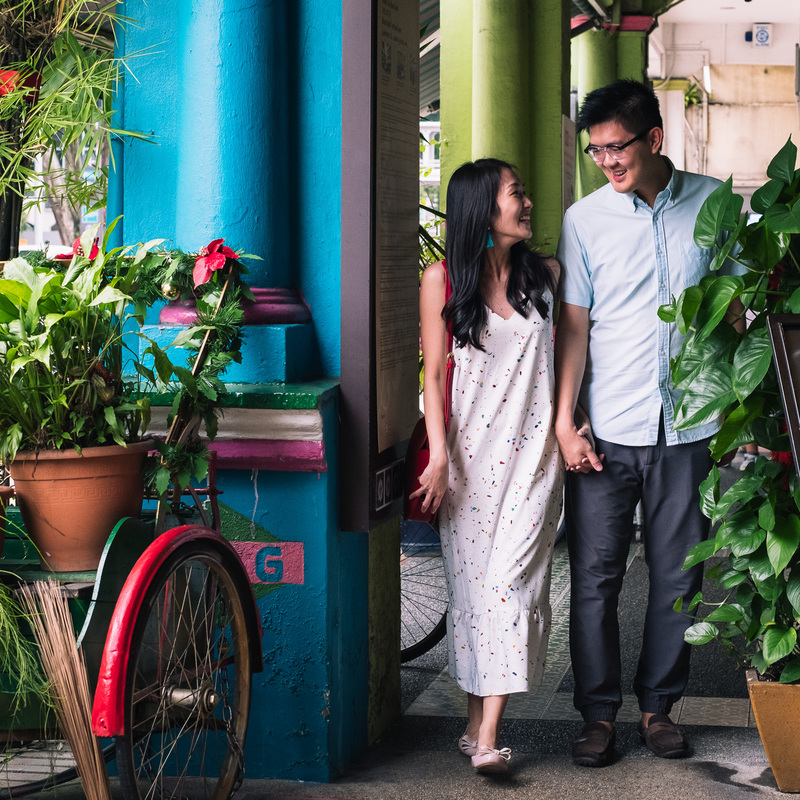 UPDATE: I will be back in Singapore from July-Aug 2018. 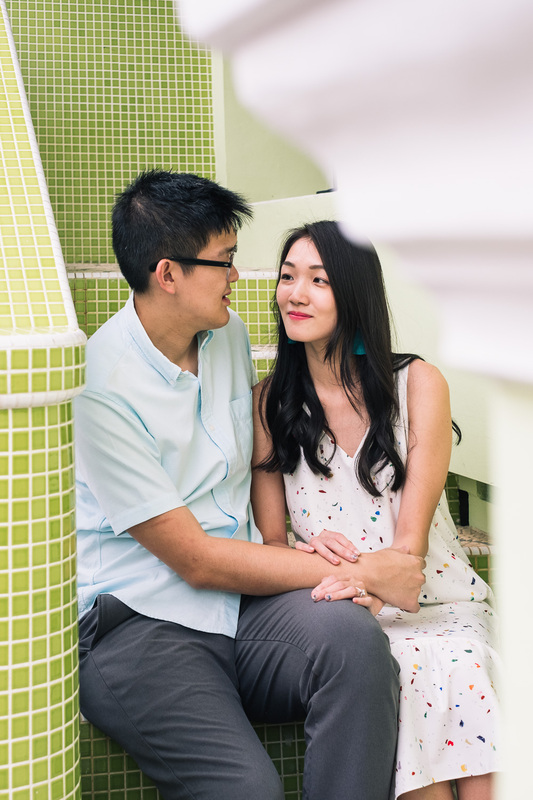 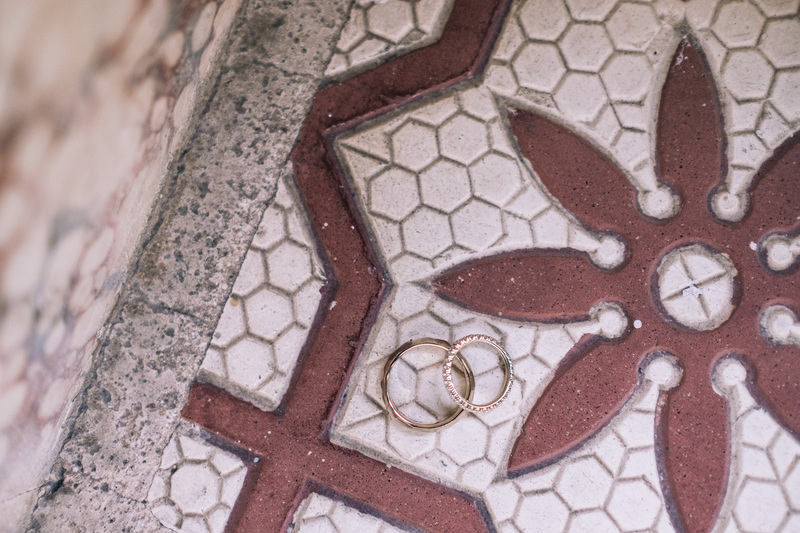 If you would like to schedule a pre-wedding couple session with me, I’d love to chat with you. 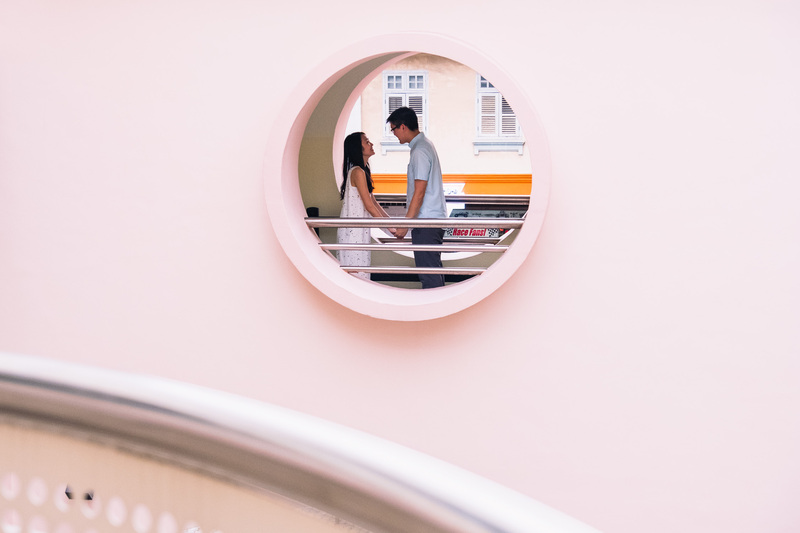 Email me or use my contact form and we’ll set up a time to speak about creating the gorgeous couple photos you’ve always dreamed of.